On last January 12th, I had the chance to meet Mark Templeton in Florida. Mark has the 3rd Model X ever delivered (Founder #0003 … He received it on september 29, 2015, so he’s one of the most experienced Model X owner! 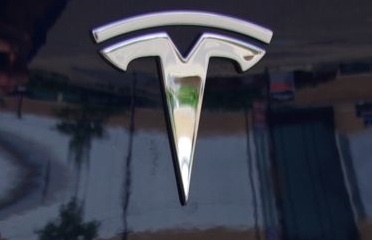 OWNING A MODEL X: MARK TEMPLETON’S IMPRESSIONS! A very curious young lady comes over with a flurry of questions about the Falcon wing doors (that happens almost daily to every Model X owners!). Mark’s explains the difference about Gull wing doors (like on some Lamborghini’s) and the Model X with it’s falcon wings doors that comes with two hinges instead of just one. You have to see what happens to his glasses when he opens the doors to prove her that he can be very close by! Mark is such a nice patient guy, wow. I feel like I am getting to know him from all his video demos of his beautiful model x. Couldn't agree more he was interrupted a lot, but very informative none the less.